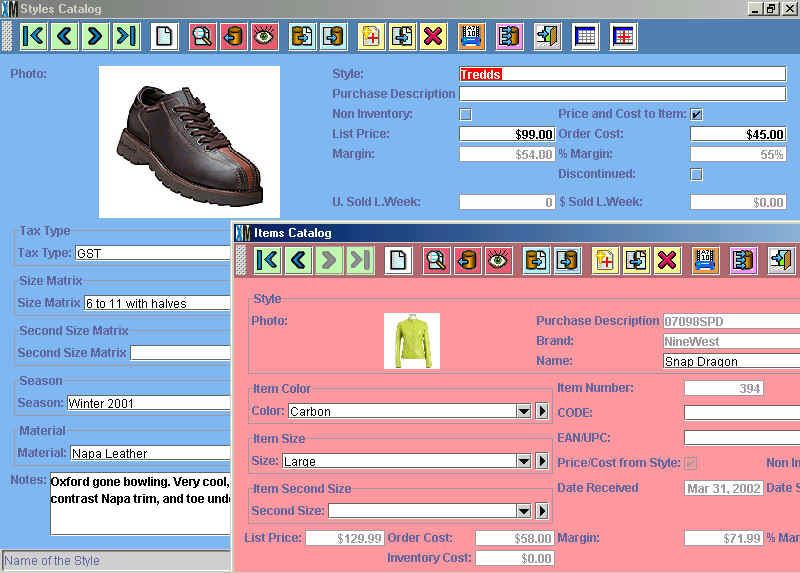 XpertMartTM�s screens are very simple to use and can be navigated using the mouse or, for quicker inputting, by keyboard. Because of our object-oriented design philosophy, there are only 4 basic screen archetypes to learn. If you know how to make an invoice, for example, then you already know how to make an Out Slip, a Purchase Order or a Receipt. It�s that simple. 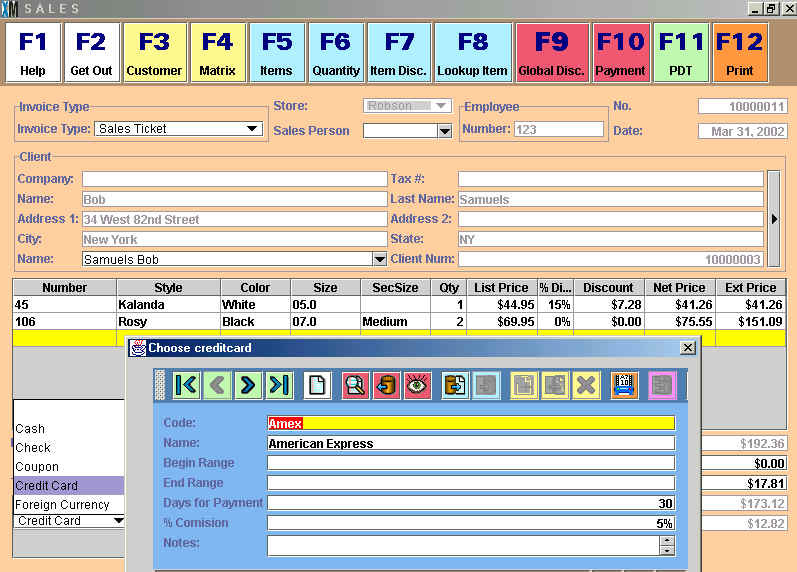 Buttons on the toolbar are grouped by color according to their function (green for navigation, red for searches, etc) which allows for a quicker training and simpler technical support which in some cases comes down to saying �press the second green button on the right.� The user interface at the point of sale is simple enough that your store personnel will be ringing up invoices with XpertMartTM after only 2 hours of training.